NASA announced today that the CU/LASP-led mission to Mars to investigate how the planet lost much of its atmosphere eons ago has been approved by the space agency to move into the development stage. The effort, known as the Mars Atmosphere and Volatile Evolution, or MAVEN, mission, will explore the past climate of Mars, including its potential for harboring life over the ages. LASP is leading the mission, which will carry three instrument suites to probe the atmosphere of Mars and its interactions with the sun. LASP Associate Director and CU professor Bruce Jakosky is principal investigator on the mission. The LASP team also will provide science operations, build two of the science instruments and lead education and public outreach efforts for the MAVEN mission. 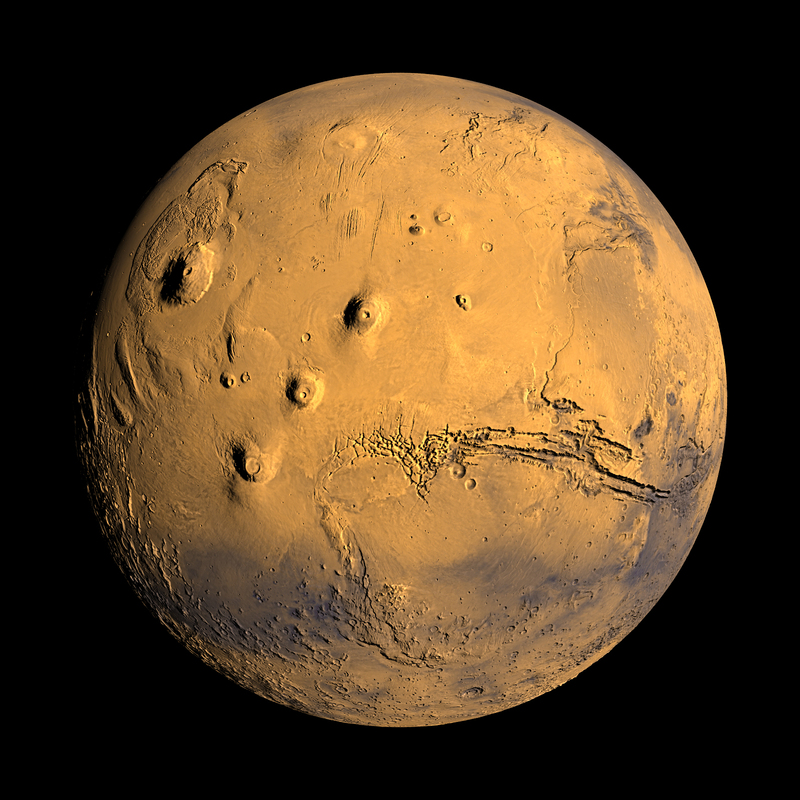 Clues on the Martian surface, including features resembling dry riverbeds and minerals that only form in the presence of water, suggest Mars once had a denser atmosphere that supported the presence of liquid water on the surface. Since most of the atmosphere was lost as part of a dramatic climate change, MAVEN will make definitive scientific measurement of present-day atmospheric loss that will offer insight into the Red Planet’s history. Michael Luther, on behalf of Ed Weiler of the NASA Headquarters Science Mission Directorate, led a confirmation review panel that approved the detailed plan, instrument suite and budget for the mission. MAVEN Project Manager David Mitchell, of NASA’s Goddard Space Flight Center in Greenbelt, Maryland, said, “The team has successfully met every major milestone since selection two years ago. Looking forward, we are well positioned for the next push to critical design review in July 2011. In three short years we will be heading to Mars.” Launch is scheduled for November of 2013. The three instrument suites on MAVEN will include a remote sensing package built by LASP that will determine global characteristics of the upper atmosphere. The MAVEN science team includes three LASP scientists heading up instrument teams—Nick Schneider, Frank Eparvier, and Robert Ergun—as well as a large supporting team of scientists, engineers and missions operations specialists. The MAVEN effort also will include participation by a number of CU graduate and undergraduate students in the coming years, said Jakosky. Currently there are more than 100 students working on research projects at LASP, which provides training for future careers as engineers and scientists. The confirmation review announced today authorized continuation of the project and set its cost and schedule. The next major mission milestone, the critical design review, will examine the detailed MAVEN system design. Assuming the critical design review is successful, the project team will assemble the spacecraft and its instruments. The MAVEN contract is the largest ever awarded to CU-Boulder. NASA Goddard will manage the project, which will cost $438 million excluding the separately funded government-furnished launch vehicle and telecommunications relay package. Goddard also is building several science instruments for the mission. Lockheed Martin of Littleton, Colorado, will build the spacecraft based on designs from NASA’s Mars Reconnaissance Orbiter and 2001 Mars Odyssey missions as well as perform mission operations. The University of California-Berkeley Space Sciences Laboratory also will build instruments for the mission and support education and public outreach efforts. NASA’s Jet Propulsion Laboratory in Pasadena, California, will provide navigation support, the Deep Space Network, and the Electra telecommunications relay hardware and operations. Journalists requiring more information, please contact Stephanie Renfrow, media relations, at 303-735-5814.